While water damage restoration is the most common type of cleaning service, it allows the potential for numerous additional problems. This can lead to mold growth, excessive property damage, and even power outages. 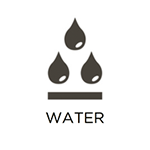 The sources of water damages can include burst pipes, heavy rainstorms, flooding, sewer backups, and more. However, as the water seeps into porous materials, such as drywall or paint, it has the ability to spread and cause additional problems including mold growth. RestorationMaster guarantees proper water damage restoration in a timely manner to eliminate all cases of water damage found within your home or building. We are available 24/7 at 888-915-8868 for all types water damage restoration needs in Lincoln City, OR and the surrounding communities. Don’t wait! Contact us immediately to avoid further problems. 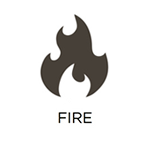 A house fire can be one of the most lethal types of disasters. It not only puts your family at risk, but it can destroy the majority, if not all, of your belongings. But even after the flames have been extinguished, it is actually the smoke and soot that cause the most damage. Once the fire is out, the smoke and soot are left to settle into the building materials and furnishings of your home; these corrosive byproducts cause etching and tarnishing to the affected materials, and if not treated right away, they could become lost forever. When called immediately, RestorationMaster has the equipment and products necessary to effectively restore your belongings to their original condition. Our fast response time guarantees an efficient recovery within the initial call. Upon discovering mold in your home, it can be frustrating to remove, especially if it is hidden or growing in a small area. However, if not treated right away, it is not only left to spread, but allow the risk for negative health effects to you and your family. 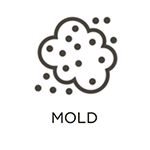 As mold growth thrives off of moisture, it can spread easily throughout the house by dispersing its spores. After finding a feeding ground, such as drywall or cement, it will begin to grow during moist conditions. This makes it essential to call RestorationMaster immediately if you suspect mold is growing in your home. We recommend a mold inspection after treating water damage and/or if there is a high moisture level within your home or building. Our advanced technology is guaranteed to find the mold while identifying areas that are at a high risk for future growth. While in many cases, the majority of the damage from the natural disaster is concentrated on the building materials of your home or building, it is certainly not uncommon for personal belongings to be affected as well. Whether it be from a fire, water, or mold, personal belongings will become damaged sooner or later. However, if you call RestorationMaster immediately after encountering the damage to your items, we have the products and experience necessary to save them. Our technicians are highly trained to restore all types of content, including furniture, clothing, and even cherished antiques. We also offer pack-out services. In this case, the condition of the property does not allow for the content to be restored on-site, it will be safely transported to our climate-controlled facility. While some homes only require a minor restoration from water, fire, or mold, others need complete reconstruction; therefore, the condition of the building materials deem the environment unsafe for living. 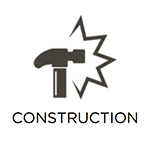 In this case, your home or building requires reconstruction services. RestorationMaster specializes in emergencies; we are available 24/7 for immediate reconstruction services in order to provide a safe living environment for you and your family again. When dealing with hoarding, the affected individual is usually battling an anxiety that disallows them to part with any items in their home. Over time, it can lead to unsafe living conditions while harboring the perfect environment for mold and bacteria to grow. 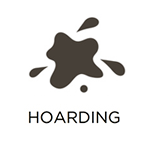 The individual will require the help of a loved one to contact professional hoarding cleaning services. RestorationMaster not only provides effective services, but establishes a bond with them in order to work efficiently. Our technicians will put them in charge of the entire process, ensuring that nothing will be thrown away without their approval. We will then use our powerful but safe cleaning products to properly disinfect the property from all dangerous contaminants. Any case involving biohazardous materials, such as blood, tissue, and other bodily fluids, can be shocking and extremely stressful. In addition, it can be even worse to discover the death of a loved one. 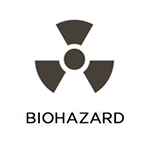 However, because the crime scene investigators do not restore the property after gathering evidence, you must call a team of professionals right away to start the biohazard cleanup process. As these materials can harbor dangerous bacteria to cause severe illness and infection, avoid all contact with the contaminants. RestorationMaster is licensed and trained to provide trauma and crime scene cleaning services in order to disinfect the scene, removing all hazardous byproducts. We also work with a sense of compassion and respect in regards to the grieving family, working with both law enforcement and insurance providers. When a guest encounters a strong, foul odor when entering your home or building, it can be one of the most embarrassing experiences. However, what many do not realize is that these odors can also be home to dangerous bacteria and pathogens. When this happens, be sure to call a professional pathogen and odor removal company right away, especially if there are individuals living with allergies and respiratory problems. RestorationMaster employs certified technicians that will effectively remove all dangerous contaminants at their source with the use of chlorine dioxide (ClO2). After the introduction of this new chemical, our deodorization services have been more effective than ever before, completely disinfecting all affected materials. For all emergency disaster restorations and cleaning services, we are available 24/7 at 888-915-8868 in the Lincoln City, OR 97367 area.